outlines how that information is used, who I may share that information with and how I keep it secure. info@nutritionaltherapist.eu I keep my Privacy Notice under regular review. legal basis of me holding your personal data is for legitimate interest. 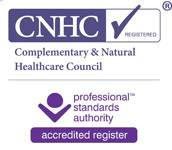 by our professional association BANT and registrant body, CNHC. holding your personal data is for contract administration. testing companies. I use this information in order to provide you with direct healthcare. This means that the legal basis of me holding your personal data is for legitimate interest. other providers which means the healthcare provided by me may be less effective. Protection Regulation (GDPR) concerning data protection. I will also take reasonable security measures to protect your personal data storage. where there is a legal requirement such as a formal court order. 4. Do I share your information with other organisations? sites. I will seek your explicit consent before processing your data in this way. identify you, with some exceptions. You do not need to give a reason to see your data. by law or in accordance with the BANT and CNHC guidelines. to another controller, without hindrance from me. based on your personal data. must be fair and lawful. to decide if and how your information can be shared. where data that could or does identify a person are processed. 7. How long do I hold confidential information for? from my professional association BANT. to use secure forms where appropriate. writing to at info@nutritinaltherapist.eu and I will do my best to help you. by activating the setting on your browser that enables you to decline the cookies.